“From today, let’s be clear, tech transformation is coming.” The words of Matt Hancock at his first speech as newly appointed Secretary of State for Health. He has an interest in technology having previously worked for his family’s software company and has been aiming to make the government more tech savvy. He was even the first minister to launch his own app (albeit with some criticism) to help better connect to his constituents and he is prolific on social media. He used the speech to set out his initial priorities for health and social care as workforce, technology and prevention. These will help achieve his holy trinity of allowing better care for patients, easier service provision for clinicians and saving the NHS money. Hancock champions the idea of empowering people to keep themselves healthy at home by utilising technology that is rapidly becoming part of everyday life. The plans to boost technological innovation within the NHS include £487m extra investment to help reduce pressure on the NHS. One such measure he suggested is the use of Artificial Intelligence (AI), as such voice assistance and smart speakers. Hancock specifically referred to Amazon's digital voice assistant, Alexa. Currently when asking Alexa about back pain, there is no guarantee where the response will be sourced from. Hancock introduced plans to work with Amazon to ensure any responses to healthcare questions are sourced from NHS experts or sources such as NHS choices. The hope is that by making the information available on more channels and ensuring reliable sources the burden on the NHS will be reduced. The impact of this could be further reaching in certain population groups, for example visually impaired patients who can access reliable information without the need for a face to face appointment, freeing up valuable consultation time. Simply put, AI is the ability of computers to perform 'human' tasks. The capabilities of AI is becoming more and more sophisticated, with contextual awareness now allowing a conversational dialogue with computers. The technology is continually being developed to allow a better understanding of natural language processing and enabling responses with a ‘human like’ quickness to improve user experience. It is no surprise that healthcare is taking AI very seriously, from managing records, carrying out repetitive jobs and even providing medical consultations and advice. 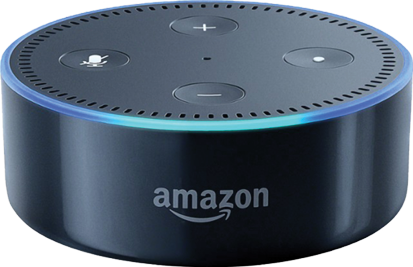 Alexa skills are essentially apps that give Alexa increased abilities by allowing her to speak to more devices or websites by expanding her repertoire. Skills are the technology that allow you to place orders through Amazon, help Alexa command smart home thermostats and security systems, and even improve your health and fitness with 7-minute workouts. Simply search through Alexa’s list of skills and ‘enable’ the skill of your choice. The technology is already being used by the NHS. Start4Life, a Public Health England scheme, has an Alexa Skill called Breastfeeding Friend, which allows mothers to have hands-free 24/7 access to NHS-approved advice. Alexa can answer almost any question about breastfeeding and mothers can expect to receive answers tailored to the age of their baby. The door is now open for more patient or even healthcare professional skills to help increase reliability and efficiency within the NHS, especially given the extra level of investment and government support. At earthware AI in healthcare is something we have been championing for some time, we are continually looking for ways to integrate AI into healthcare. To find out more we have a white paper ,or for a chat about how earthware can help you ,get in touch.